For outdoor enthusiasts and residents of New Jersey, there can be no better place to live than the Township of Morris. This beautiful, residential community is home to over 22,000 residents and several of the most idyllic parks and natural resources in the area. 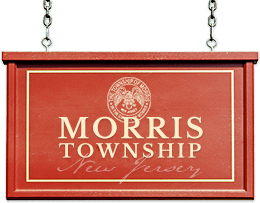 The Township of Morris is the type of community where summer days are spent enjoying little league games, hiking trails, swimming in community pools with friends and neighbors, or running in one of the Township’s monthly charitable 5K races hosted by local organizations. It is the type of community where its residents give so much to one another, that its leaders are committed to giving their residents everything they want and need for a happy home and satisfied lifestyle in return. According to Virginia Murphy, Township of Morris Human Resource Manager, to give its citizens more convenient access to online information, resources, and digital self-service features, it replaced its outdated website with the CivicEngage® content management system (CMS). The result has been more convenient data management, quick information distribution, and more engaged residents. Before the Township of Morris transitioned to CivicEngage for its government CMS, its local government website was designed and hosted in-house, and maintained by two internal webmasters from the County. While the Township’s previous website served its purpose for many years, as technology evolved, its content became outdated, leaving its residents in need of more digital features and more convenient access to online information. It also left the Township’s staff in need of a tool they could easily help manage. Realizing its staff and citizens needed a more convenient and robust solution, it chose to transition to the CivicEngage CMS. An internal website redesign project team was created in the Township of Morris to lead the implementation efforts. The team was comprised of representatives from four different departments that would be impacted by the new website and its broader functionality. According to Murphy, an essential area of focus for the Township during the website redesign process was to redesign its website using intuitive navigation and content organization. Murphy recalls that the Township’s CivicEngage project management team kept its website redesign implementation running on time. To help the Township of Morris choose a new, reinvigorated look for its digital presence, its project management team helped it to find inspiration by reviewing a wide variety of examples of other local government websites. Today, two of the Township of Morris’ departments can make their own website updates, with Murphy being responsible for all other content. There are plans for more departments to manage their content in the future. With a more decentralized content management process, the Township hopes to streamline its information updates even further. According to Murphy, the ability to keep citizens informed about local parks and rec services, and make a wider variety of online self-service features available, has been a convenience to both citizens and staff. While the Township of Morris and its citizens are enjoying its more robust website, it continues to plan improvements and the implementation of even more content and functionality. If you're ready to see for yourself how a redesigned website can help your community meet its citizen engagement goals, download our eBook, The Local Government's Ultimate Guide to a Successful Website Redesign.